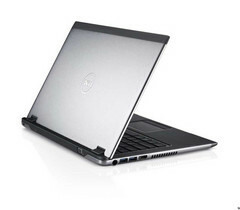 Dell is the next company to carry its laptop range over the Ivy Bridge. The US-based PC manufacturer has reportedly announced the Vostro 3360, 3460 and 3560 notebooks will be getting Intel’s third generation chips. Furthermore, the maker has revealed in a press release that the first two models will become commercially available on June 21 of this year, whereas the 3560 system can now be purchased on Dell’s website for $599. The Vostro 3000 Series is aimed at business professionals on-the-go and apparently offers “elegant design, strong performance and security”. Moreover, all portable PCs in the line-up are driven by up to Ivy Bridge Intel Core i5/i7 central processing units; the 13.3-inch 3360 and 14-inch 3460 sport HD (1366-by-768 pixels) displays, while 15.6-inch 3560 can be ordered with up to a Full HD panel. Under the hood, the Vostro 3000 Series accommodates a 320GB mechanical hard drive, an optional 32GB SSD and up to 8GB of DDR3 memory. Users are further provided with an AMD Radeon HD 7670M GPU (on the 3560), an NVIDIA GeForce GT 630M (Vostro 3460) and either an Intel HD 3000 or HD 4000 graphics controller on the 3360 (depending on the configuration). Other features reportedly include four USB 3.0 ports (three on the 3360), an HDMI output, a fingerprint reader for enhanced security, 8-in-1 memory card reader slot, an Express Card slot, an HD web camera for video conferencing, Wireless LAN 802.11 a/b/g/n and Bluetooth 4.0+HS radios accompanied by an optional HSPA 2.0 module (Vostro 3360 and 3460 only). The laptops are equipped with a Windows 7 Professional operating system and are supposedly available in three colours: Aberdeen Silver, Brisbane Bronze and Lucerne Red. Dell claims the Vostro 3360 and 3460 will have a starting price of $649 and $599, respectively.